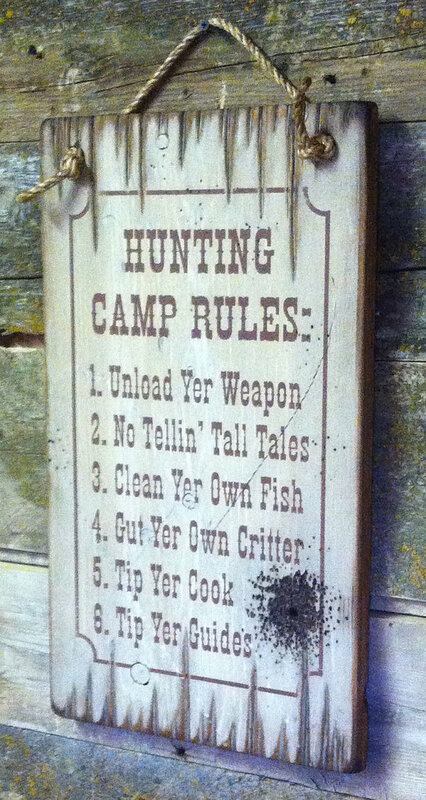 Unload Yer Weapon No Tellin’ Tall Tales Clean Yer Own Fish Gut Yer Own Critter Tip Yer Guide Tip Yer Cook This humorous Hunting Camp sign will go great in your hunting lodge. the grass rope hanger for easy hanging. Handcrafted with pride! 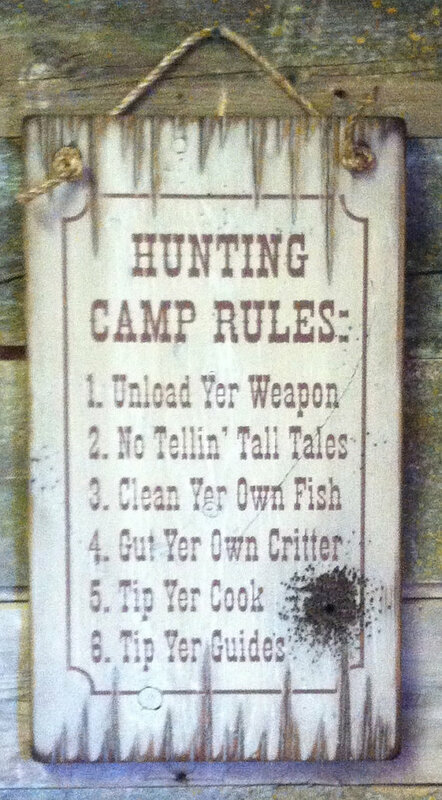 This humorous Hunting Camp sign will go great in your hunting lodge.